Is there a February 2019 Car Rental thread? Discussion in 'Transportation' started by kastel, Nov 29, 2018. Is it too early to start a February 2019 car thread? I've been looking for Feb. Need a rental for Feb 1 - 15. So far the best I've got is Alamo midsize for $548. It was over $700 when I first started looking. Yea, looking too. Feb 3-16. I only use Alamo or National. 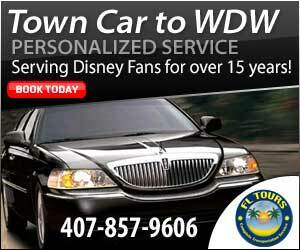 I just booked for Feb 14-25, picking up at the 4 points Sheraton near Universal (Alamo)and returning at MCO. Intermediate, $370 through Costco. Given that in March 2017 I booked for feb 2018 and it was the best price I ever saw, no, November is not too early. That said, I forgot to book that early for this feb. Haven’t even looked. Good reminder. Hi looking for a rate for Feb 3 -10.i don’t have a Costco membership. There is none in my area. Thanks for your help!! Some reason you are limiting your options. In the past year I have rented from National, Alamo, Hertz, Budget, Avis.... probably some others. Really does not matter. We have rented from most companies, but over the years we now only prefer Alamo and national. We belong to both of their programs and they’ve always been good to us, esp when things don’t go smoothly. We enjoy National aisle service and earning free days. I haven't found any prices I'm in love with so I'm thinking I just might have to book for $400 and hope it goes down. Yea... looks like we will be doing Uber on our trip which works with being winos anyways. Super discount rates seem to be harder to find these days. autoslash.com is a good place to look. Will be looking for a car for Princess Half Marathon week, but haven't started shopping yet. Just got a decent price for my January trip so hoping that February prices might be good as well. Thanks. Your post prompted me to take another look at Alamo. I booked for $306. Still slightly higher than I'm used to, but definitely better than $400. Guess it's time for me to accept that car rentals and flights aren't priced the way they used to be :-(. This thread popping up prompted me to check my rates again. Feb 14-25, pickup at Universal area hotel, drop off at MCO, intermediate (Costco). Fell from $370 to $315. Only problem is new rate is with Budget, which will hit me with a $20 fee if I have to use electronic tolls when I pick DH up at Tampa airport. Price dropped again this morning for me to $290 for the intermediate, same dates. Just booked using my Avis Corporate account. 2/20 - 2/25 Full Size $216.57. Will keep checking to see if I can hopefully get something less expensive. February auto rentals are so high!!!!! Ouch. I agree and I leave in two weeks.